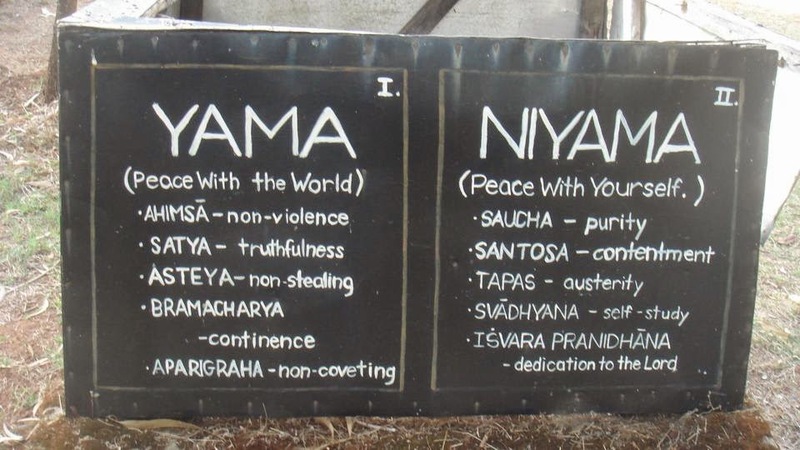 The Sanskrit term, niyama is what we would recognize as positive duties and observances, often practiced alongside the yamas, which we discussed last month in Defining the Five Yamas and Putting Them Into Practice. Again, we will focus on Patanjali’s teachings, which are: Saucha, Santosha, Tapas, Svhadhyaya, and Isvara Pranidhana. Whereas the yamas encourage us to strive for peace with the world, the niyamas are ways we can find peace with the self; observe thyself and seek restraint with the world. These are by no means simple to live by, but when we do observe yama/niyama our life will be full, our body healthy, and our spirit will be enlightened. Another word commonly used to describe saucha is cleanliness. Practicing saucha means you are striving to be clean inside and out – what goes into our body is clean and what comes out is clean. What goes in could be good, clean food and what comes out could be clean language and pure intentions. These days the word content is often seen as settling, or not being totally satisfied. We see it as simply accepting the situation, and while a big part of santosha is acceptance (of what you have, and of others), to be content is actually to be satisfied. When we view contentment as a bad thing, we’re insinuating that we need abundance, and in some cases over-abundance, to feel pleased. This niyama asks us to be more down to earth, be happy with what we have, and take only what we need. The literal translation of the sanskrit, tapas, is “to heat”. When we practice tapas we are practicing discipline and austerity on an extreme level to liberate and renew. Some cultures practice tapas as if it were penance, believing they must suffer (often by mortification) to be cleansed of bad karma. This may bring a more literal understanding to “heat” as burning cleanses all and forces transformation. An example of this that we encounter more often in our culture would be fasting or cleansing. Many use meditation as their svhadhyaya practice, and while this is great for finding your center, we must also observe our behaviors in a number of situations, inevitably over a period of time. 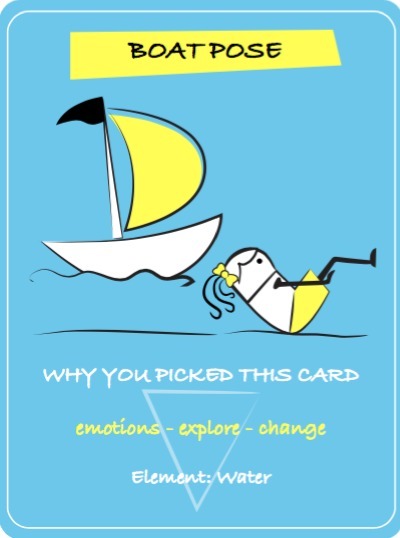 How we act and react to situations and to others will help us to understand where we struggle or prevail, but also how to make decisions that best fit our true disposition. One way of describing Isvara Pranidhana is committing yourself to that which is unaffected, because whatever that is for you is the catalyst that encourages action and/or change. For some this is God or a deity of sorts, for others it’s considered a higher form of consciousness. Just as I said last time, none of this is easy. We are all lead so often by our senses and emotions, it’s hard to be aware of what’s in our best interest at all times. The truth is, unless we completely isolate ourselves and are void of any interaction, we will always have missteps keeping things interesting. The best we can do is have good intentions and learn from our experiences. 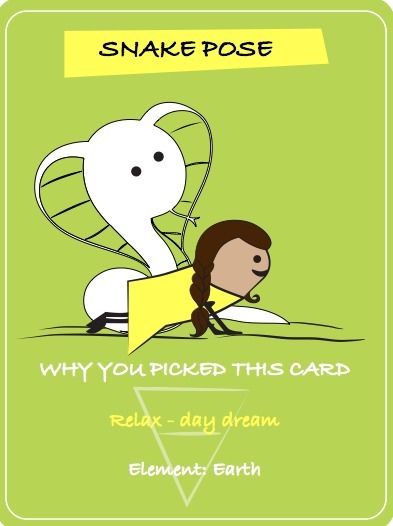 Read more "Defining the Five Niyamas and Putting Them Into Practice"
Read more "Magick Card of the Month: Snake Pose"